Our company provides the following services: Air Duct cleaning, Kitchen Duct Cleaning, HVAC Duct Cleaning, Dryer vent cleaning, Aircon Filters cleaning, & Chimney cleaning. Interested in a free quote for AC Cleaning? Give us a call on +971 50 484 7911 or 04-254 6128. Your furnace and central air conditioning system circulates air all over your house or office. This also provides circulation of dust filaments and other impurities that exist in any house or office. Some of these impurities settle inside pipelines accumulating formation of a thickening layer, which constantly pollutes air indoors. Tiny creatures; they feed off human’s skin particles and pets’ particles of skin and fur. They inhabit air ducts and vents. Their droppings are a part of dust in your house. 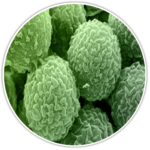 As a result, many people develop allergic reactions. In our humid climate, these biological creatures found ideal conditions for growth and reproduction in our air ducts and vents. 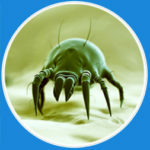 The longer air ducts stay uncleaned the more chances these creatures have to thrive, and jeopardize human health. Odor form cooking, cigarettes, pets and other odors accumulate in air ducts and spread around the house. 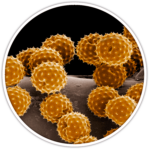 We apply chemical treatments to encapsulate or cover the inside surfaces of the air ducts and equipment housings, it will control mold growth or prevent the release of dirt particles or fibers from ducts. If you need air duct cleaning services in Dubai area, Deccan Building Services Cleaning Services LLC is there to help. Call Deccan Aircon Cleaning Experts (AC Cleaning Service) Heating & Air Conditioning in Dubai today at +971 50 484 7911. 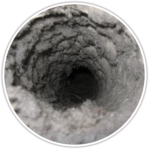 We’ll get all your air ducts deep cleaned perfectly. Our professionals will do a thorough air duct cleaning for your Dubai area home. So call today for your free in-home estimate.